Need a car wash? It's only $10 for a good cause (The Woodbridge Hospital Endowment Fund) and you'll get a free Glade Sensation Sticker. Have you started getting presents for family & friends for X'mas? 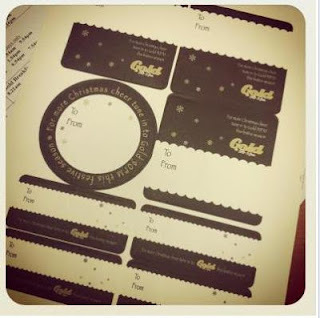 Gold 90.5fm is giving away free gift tags, just like them and message your details to them. Sent right to your doorstep. So excited! 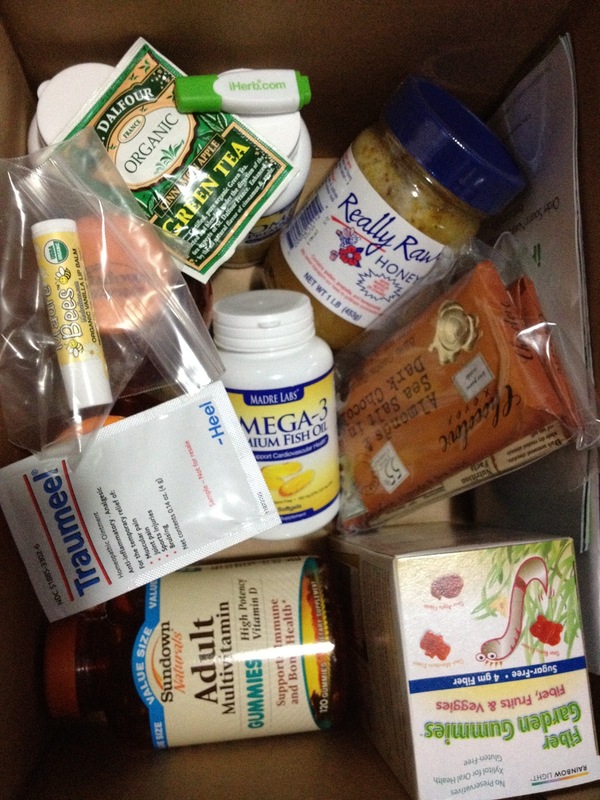 My order from iherb is here! Filled with goodies for everyone in the family! Wow! I clicked clicked clicked and ended with so much!Grand Total was about $80+ SGD. Free Shipping! I had a $10 off thanks to discount code here (ZIV517) and a further 5% for more than $60. 1. Nowhere can I find omega fish oil at 0.0495/capsule! Dad was paying 5 times that price. Well, with 4 bottles everyone can eat it as preventive supplement for cardio disease & i think anti-inflammatory for joints (this one i cannot be sure). 2. Really Raw honey retails at $35-$40 here in sg (GIANT supermarket etc). You mix it with normal temperature water in a 1 litre bottle and then put it in the fridge. Beats can drinks any day! 3. Sundown Adult Gummy was a crowd pleaser. I have bought multi vits capsules for my folks & ah lau before... but they never did want to eat it. There was a natural aversion to swallowing pills. But ah, once i introduced the gummy to my folks & ah lau they can't get enough of it. Now, i have to remind them to eat only 2, JUST 2. This has no artificial flavoring/sweetener. 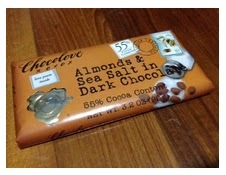 Mdm Chepao Says:This is a must try! 5. If you have trouble getting your ah boys to eat green veg, you will be like... ME. I save all that money only to spend it on getting EXPENSIVE gummies filled with fiber for ah boy... What to do?!?! 6. 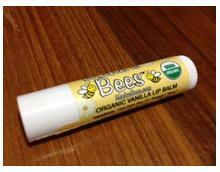 Cheap Lip balm tasted really good an it's organic. Somehow once i see Organic i think atas ah, so i clicked it. (Stated in iherb as hot deals some more wor). Well, dear readers - Stay Healthy! And now with iherb, its cheaper to do so too! Remember the Crystal Home Button, iphone screen protector & anti-radiation sticker that were featured as freebies on the deals site? 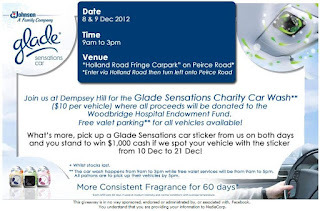 Well to my pleasant surprise, I recently discovered that the dealer themselves are giving away freebies! I assume it will be a self collect at City Plaza as well. They do have a lot of stuff on clearance now and you can select a free item with every purchase. Free delivery for purchases above $10. X'mas is just round the corner, see if anything catches your eye! Like "MTM" to get a Define 0.5 Trial by MTM. Bye bye to dark eye circles~ Hmm... but ah, pandas now in vogue wor~ Kai Kai & Jia Jia coming to town. T&C: Only 100 customers a day. Define 0.5 Trial will be by appointment basis only. In order to display the before and after effects of the facial, Define 0.5 Trial will be performed on one half of a customer’s face only. I have no idea why I would ever need to use it but oh well, download first talk later. Probably very useful for anyone moving into a new place. Fill up your details and get a sample for free! Nothing was stated on delivery period. Anyone hungry? Free Mac Value Meal Voucher! Just download "My Plus!" 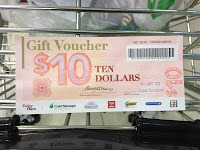 mobile app and redeem a meal voucher from NTUC Centre @ No.1 Marina Boulevard. 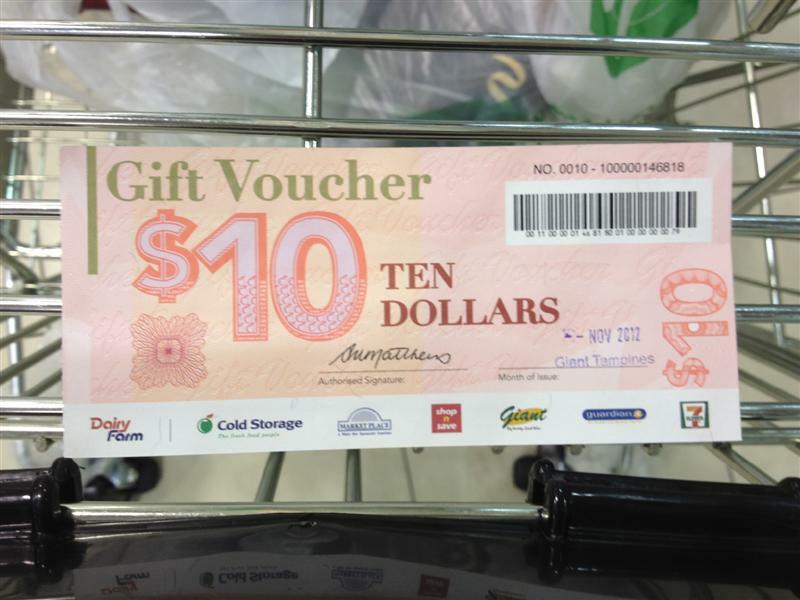 Bummer, Mdm Cheapo works at Ulu Ulu spot of Singapore. If you are in Marina these days, treat yourself to a free meal! Fill up a quiz for a sample~ Why not? How can one ever NOT love Hada Labo? They have a new sample up for grabs. 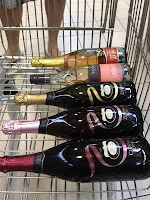 It has been a 2 weeks ago that I visited this "treasure trove". I don't know about you but Mdm Cheapo Loves checking out places with knick knacks, pre-loved, vintage looking stuffs.... I call it "treasure hunting". This place is way cool - Hock Siong. 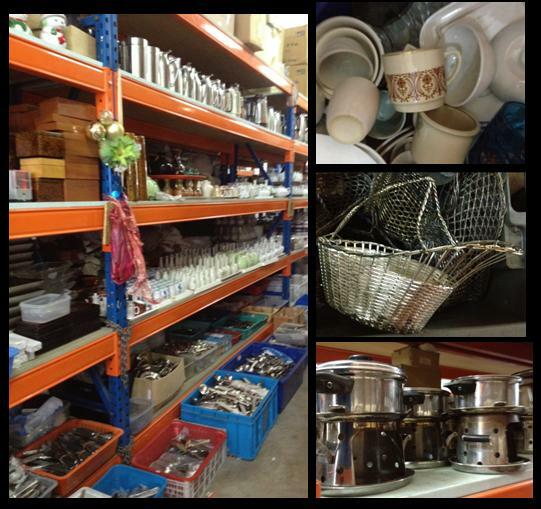 It gets furniture, household items from Hotels, Showflats etc. So a lot of good pieces and a lot of variety! Its an open storage, can be a little hap hazard but totally worth your time. Especially for new home owners, you can get decent pieces here going for 20-30% of its original retail. 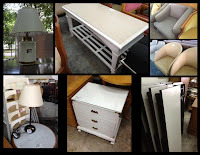 Some of the rather nice pieces that caught my eye. There were a lot of sofa pieces, lamps in pretty good condition. There were baby chairs (the restaurant type) going for $10. Very good deal! And foldable tables (long type) going for $50 each. 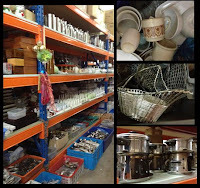 They have another area beside the furniture section which features lots of small household items which included lots of cutlery, porcelain wares, salt/pepper holders etc.... Prices are like $0.80-$1.00. *Rubs Eyes* I must not be seeing right.. Runs over, it's Wedgewood! 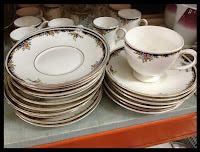 (Atas UK brand) For a tea + saucer, it goes for 10 pounds for simple no patterned one to 70 pounds for a lavishly patterned one. Price @ Hock Siong - $5!!! Yes its a little used, but in really good condition, no chips, just that the golden lines are a little faded at some parts. 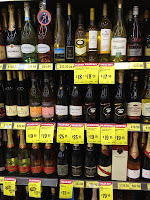 So here's what we ended up with 5 bottles of wine.There's a promo at Giant, $100 spend on wine we get $10 Giant Voucher. How NOT to stock up?! 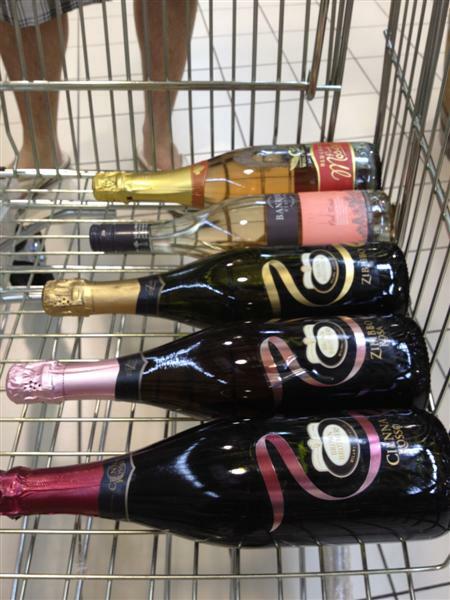 X'mas is coming up in a bit, this will be great for the X'mas Party! On my way out, i spotted something interesting, Fruit Beers from Taiwan! Singapore really has everything! Luv'it.